Our children are sacred.? They are the focus and center of our Nations and they deserve every opportunity to fulfil their dreams and succeed. The work toward new co-developed federal legislation is a response to years of pressure for action and reform.? Decades of underfunding and misguided approaches have harmed our children and families.? Outdated laws and policies have created a situation where our children are grossly over-represented in the child welfare system. Legislation is an important piece of more comprehensive reform across the entire system. We are committed to working together as quickly as possible for our children.? 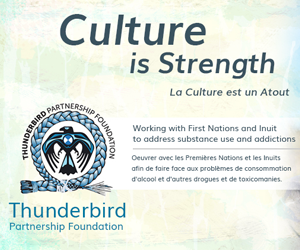 There is much work we can draw on from many successful First Nations child welfare systems. ?We will build on existing efforts and will continue to collaborate and seek direction.